Satsivi (Georgian: საცივი) is a thick paste made from walnuts and served cold (‘Tsivi’ means ‘cold’ in Georgian). It is used in a variety of meat (usually chicken and turkey), fish and vegetable dishes. 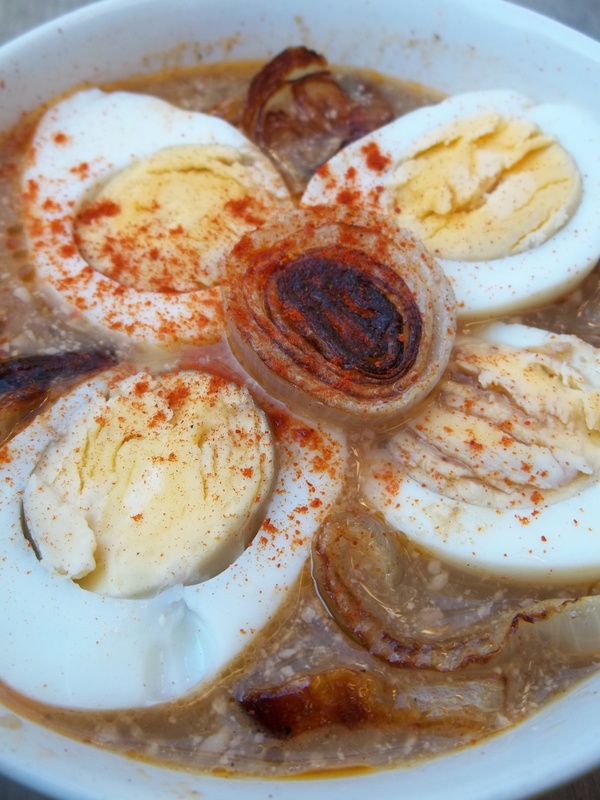 In this recipe we show how to make satsivi with eggs and onions. 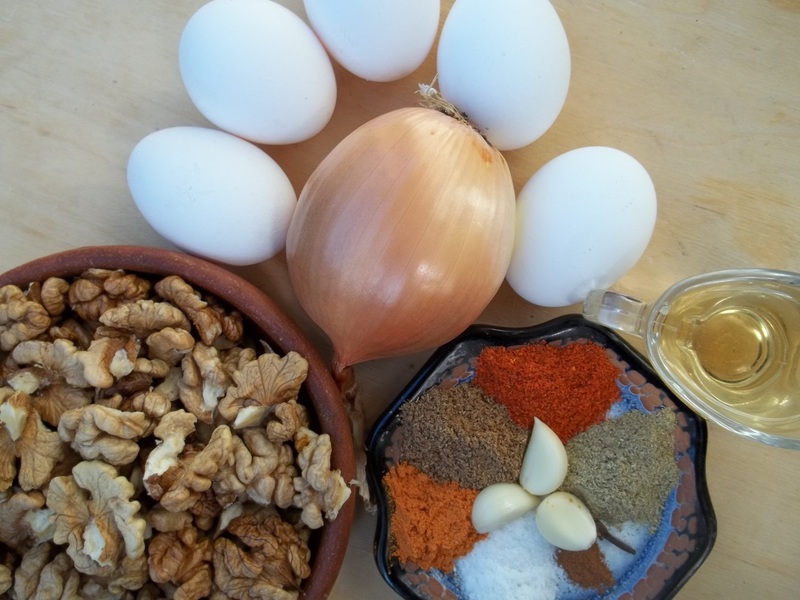 Ingredients: 5 eggs, 300 grams of walnuts, 3 cloves of garlic, 1 onion, 1 clove, 1 quarter tsp of cinnamon, 1 tsp of dried blue fenugreek, 1 tsp of dried marigold, 1 tsp of dried coriander, 1 tsp dried hot red pepper, salt (amount dependent upon personal preference) and 1 tbs of white wine vinegar. 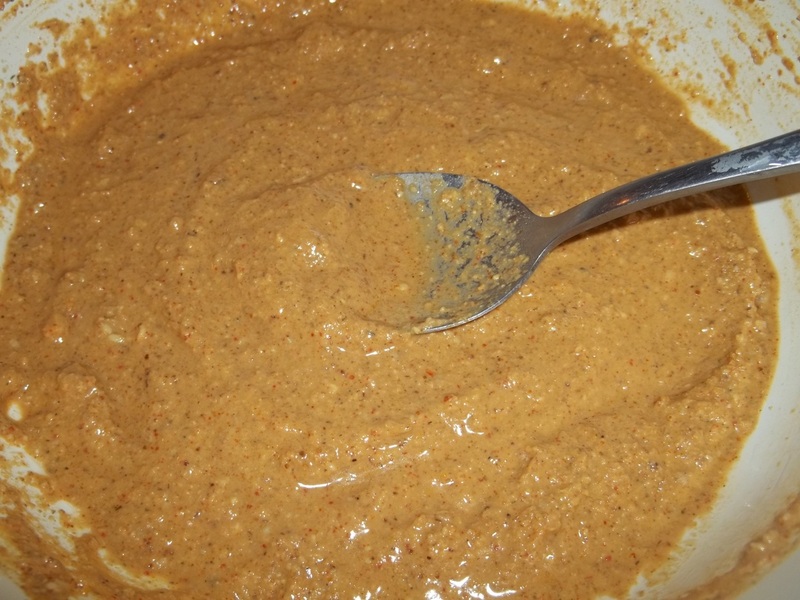 Preparation (walnut paste): In the traditional recipe, new walnuts are crushed and then the walnut oil extracted by hand. The extracted oil (usually about 2 tsp) is poured onto the dish before serving. This adds additional flavor. The process of extracting the oil is long and strenuous. We did this when preparing the dish but it is not absolutely essential and the process described below omits this step. 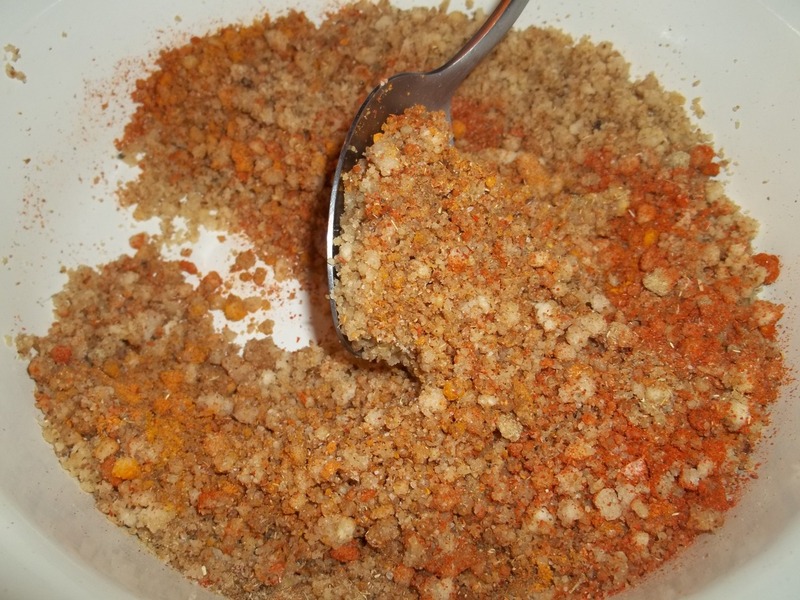 Grind the walnuts and garlic together (we used a meat grinder) and add to a mixing bowl. 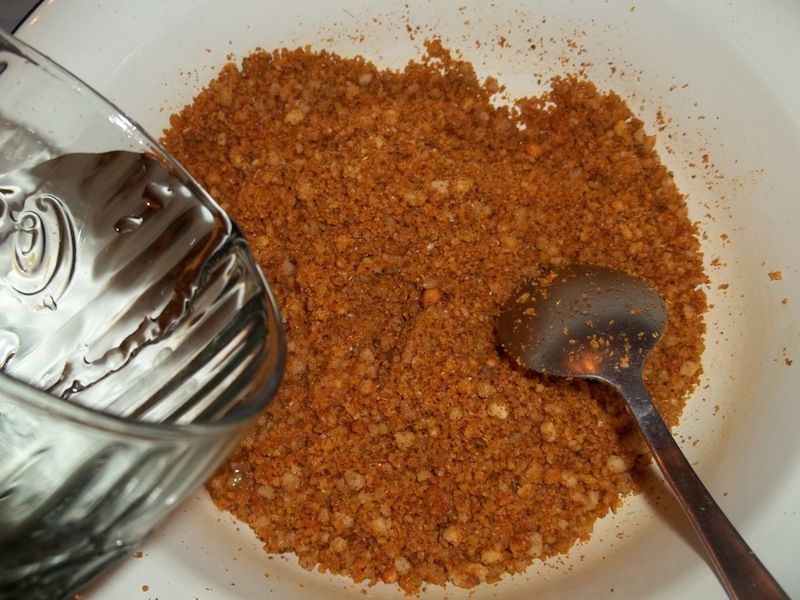 Crush the clove and add to the bowl, together with 1 tsp of dried blue fenugreek, 1 tsp of dried marigold, 1 tsp of dried coriander, 1 quarter tsp of cinnamon, 1 tsp dried hot red pepper and salt. (amount dependent upon personal preference). 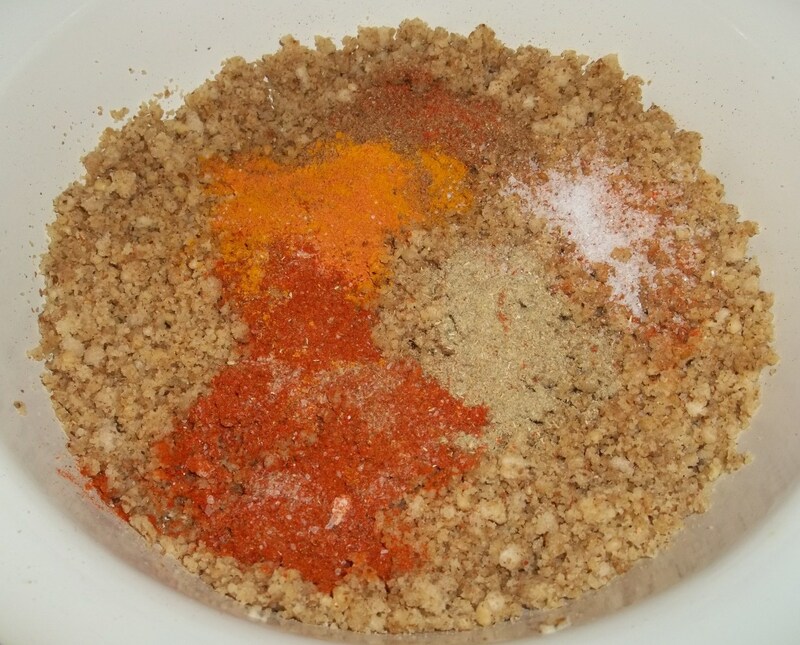 Add 1 tbs of vinegar and then gradually add boiled, cooled water, mixing as the water is added. Keep adding a little water until the paste has a consistency like the one in the picture below. Leave for 2 hours. Preparation (onions and eggs): Slice and fry the onions. Boil the eggs and cool in cold water before removing the shells. 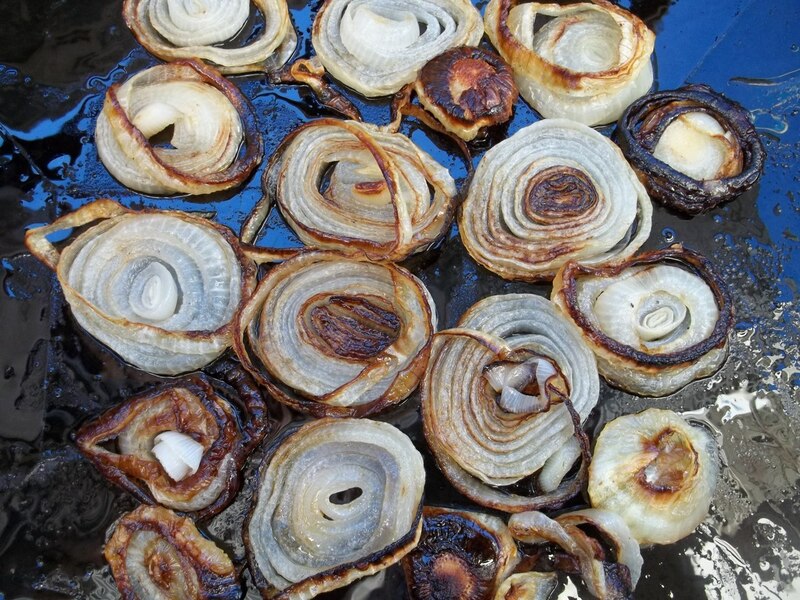 Serving: Pour the walnut paste onto the fried onions. Halve the eggs and add to the satsivi. We sprinkled the eggs with hot red pepper (optional). 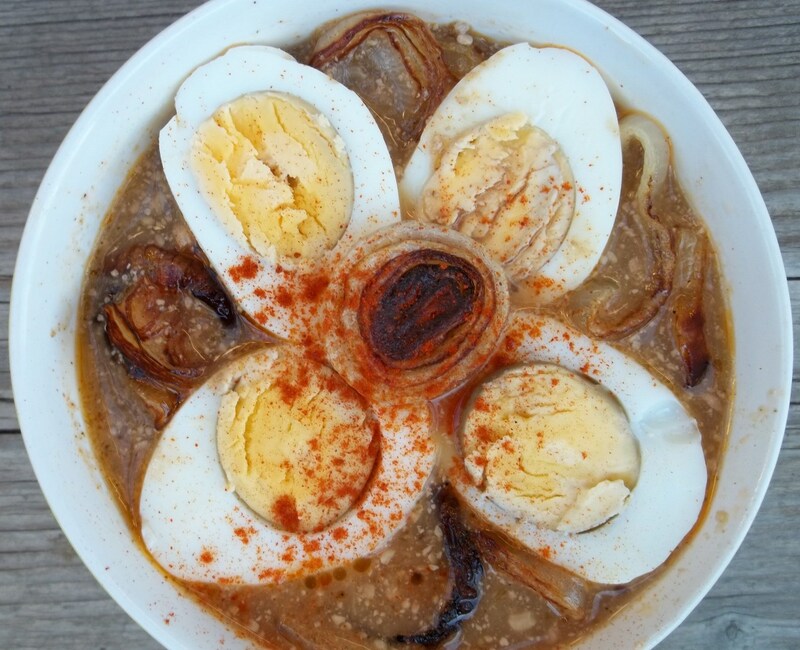 Enjoy your Satsivi with Eggs and Onions!